The perfect Jacket for a big–City safari! Jack Wolfskin's Womens Rock View Jacket is a classic travel piece. 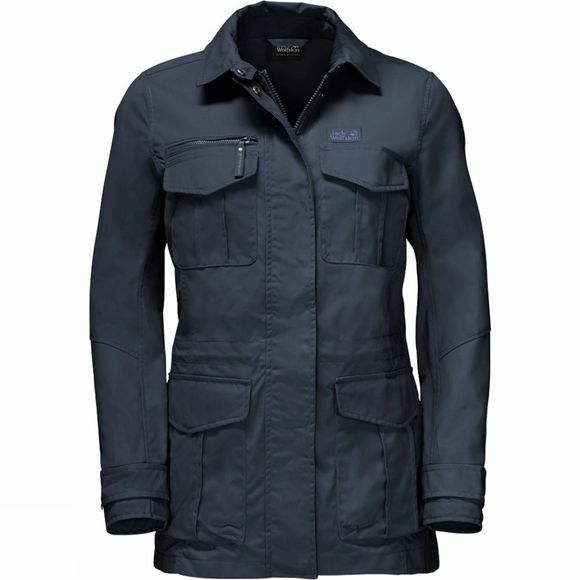 This jacket is something of an all–rounder, and that's exactly what makes it so practical. It keeps out the wind and light showers; it is robust, easy–care and hard wearing. It has five pockets, so you can keep important little items handy. And it has a draw cord at the waist, you can adjust the fit to suit you.